Its time for another look at some of the fantastic range of New Products we are now carrying in store! "Have you got a Honey Badger?" A common question which we frequently get asked! 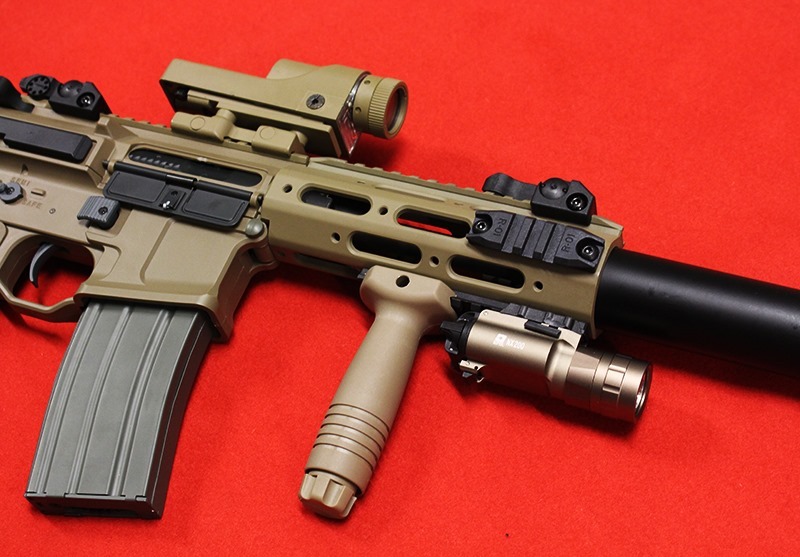 Some people might not know that the Ares Amoeba isn’t the only Honey badger out there on the airsoft market! 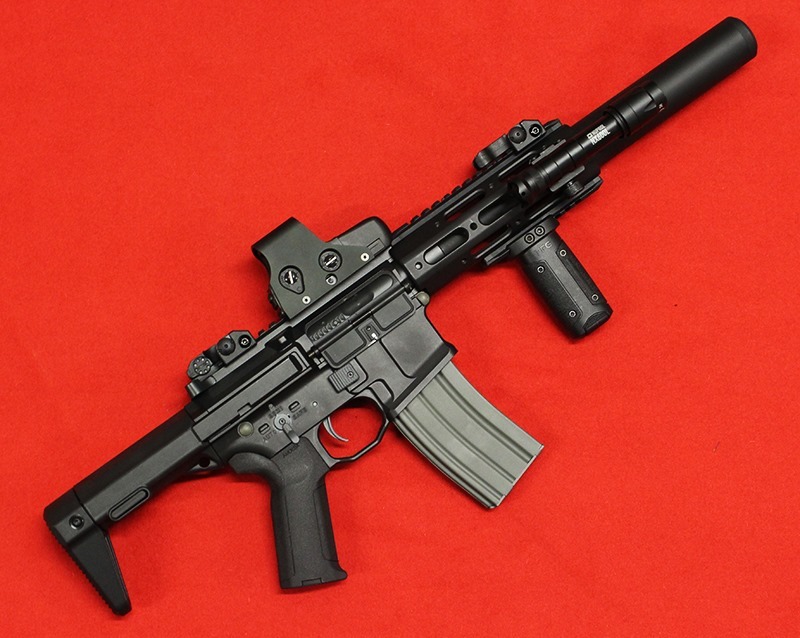 In store we currently stock the Nuprol Delta Spec Ops AEG! Although it doesn’t carry the Honey Badger Name, It does indeed share ALOT of similarities both internally and externally. The Nuprol Delta Spec-Ops provides a more covert look to your primary weapon. 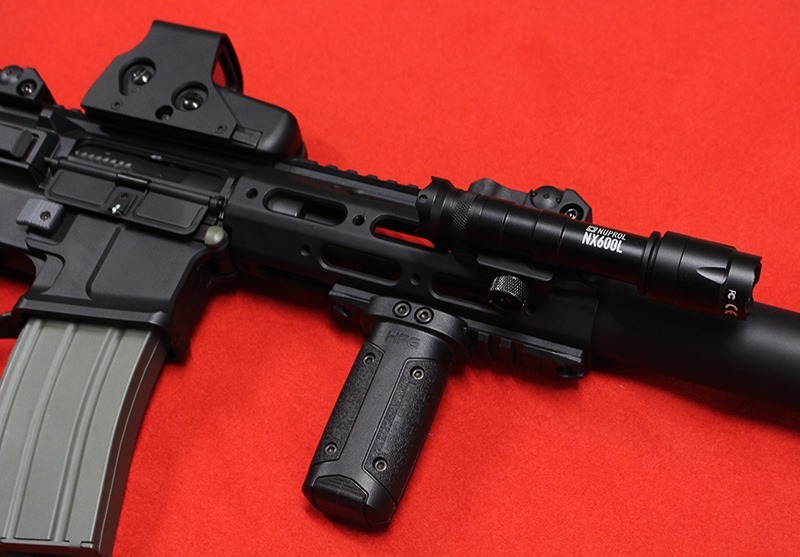 A Lightweight, Short profiled weapon with integrated suppressor inside the rail system for added tacti-cool. 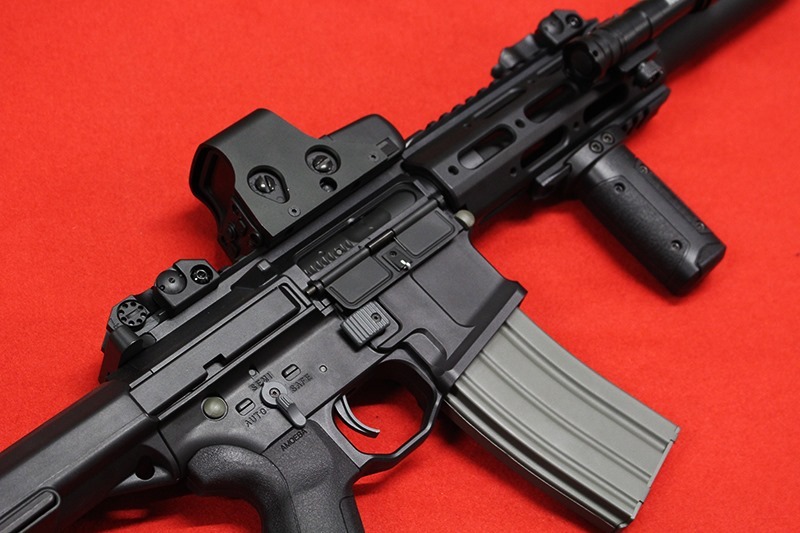 With a rubberized ergonomic grip and an ambidextrous fire selector (Which isn’t on the Ares!) This is a very comfortable weapon system! 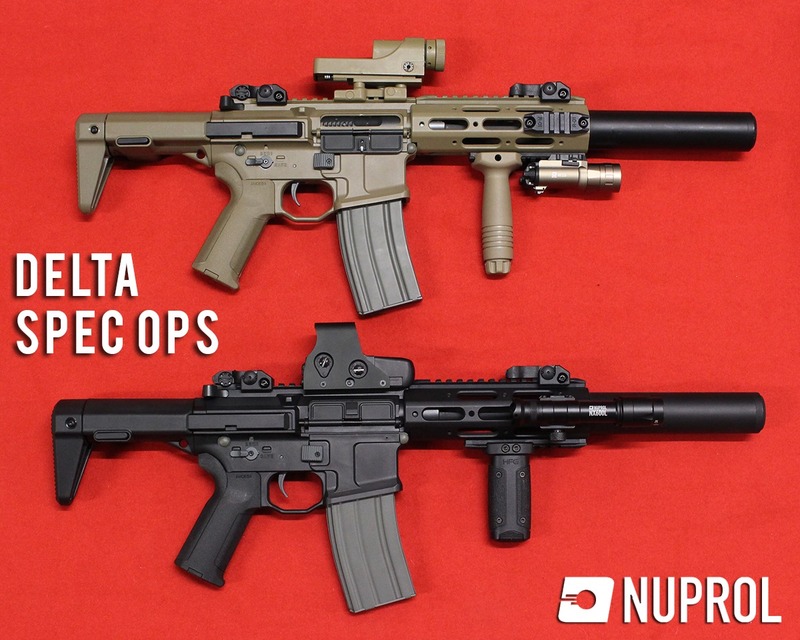 Unlike some of the other Nuprol Delta Range, the spec ops features a rigid high quality Polymer receiver to help keep the weight down, making this a fantastic gun for fast paced CQB games. How could this get any better? Well it can! 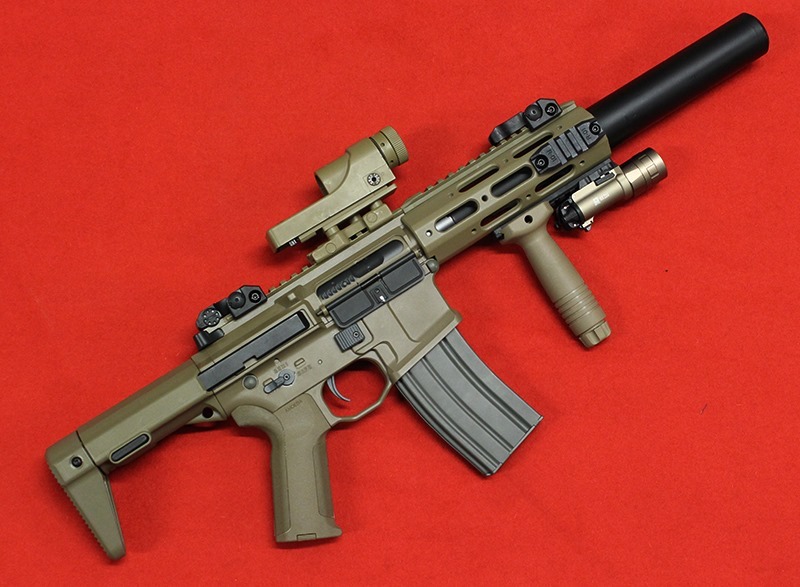 The Spec Ops rifle was made in Conjunction with the Ares Honey Badger – So it features the same programmable gearbox! Simply plug it into the Ares Programmer and you can Program the weapon to fire In Semi automatic only and even three round burst! 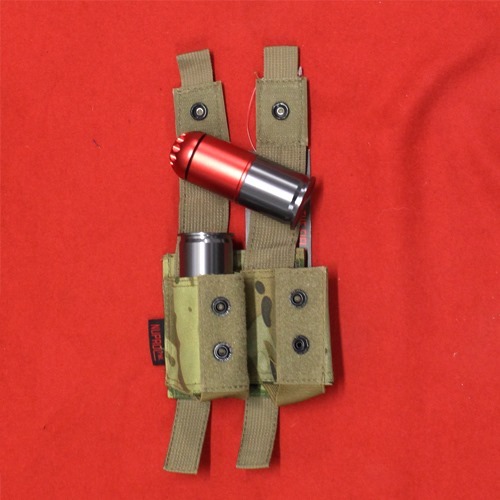 Another new addition to our Tactical Gear range is the Nuprol PMC Double 40mm Pouch! Available in Black, Green, Coyote and Nuprol Camo (Multicam) these pouches are designed to help carry 40mm Moscart shells! 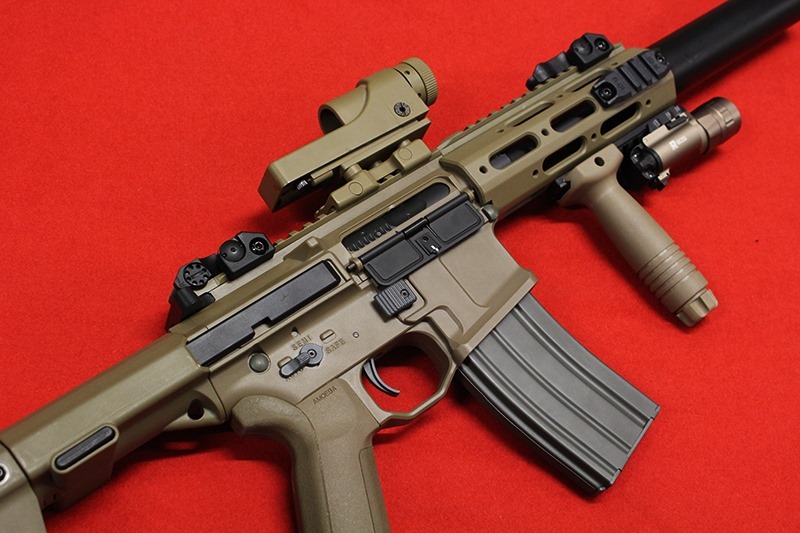 Perfect for you airsoft Grenadiers out there! 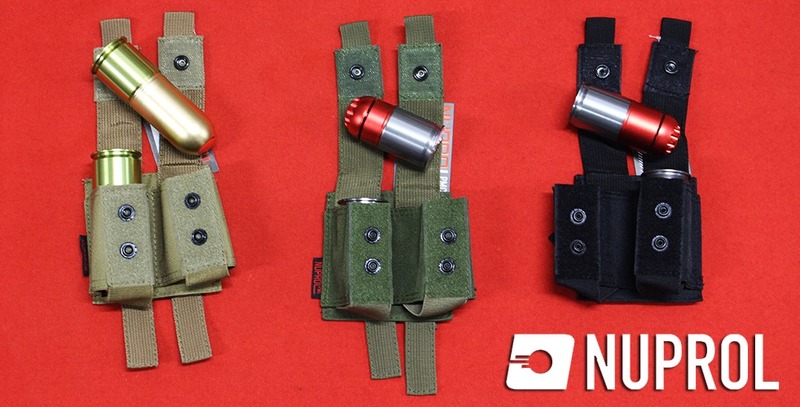 Simple yet effective, there grenade pouches use Velcro and pop buttons to keep the pouches securely closed and are the perfect size for using BOTH short and long Grenade shells! Obviously 1 grenade just isn’t enough, so now you can carry 2 more! Simply fill these with gas and BBs and shower your enemies in a hail of plastic! Alongside these we also stock the Nuprol 40mm Cap Head Grenade! Working slightly differently to the shower shells, these shells utilise A single large hole in the center of the shell will hold up to 120BB’s and held in using a rubber cap head. The contents gets fired out in one go when the firing button on the base of the grenade is pressed.